We have well-maintained cars with air conditioning. 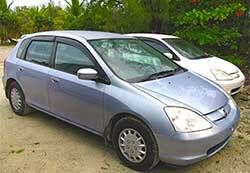 We also have spacious van and SUV rental if you are traveling with a group on North Caicos. Our dedicated agents will pick you up at the North Caicos ferry dock or at your villa.